Okay, summer is coming. It is time to update your home and wardrobe according to the summer theme. This year, green and leaf pattern is a big hit. 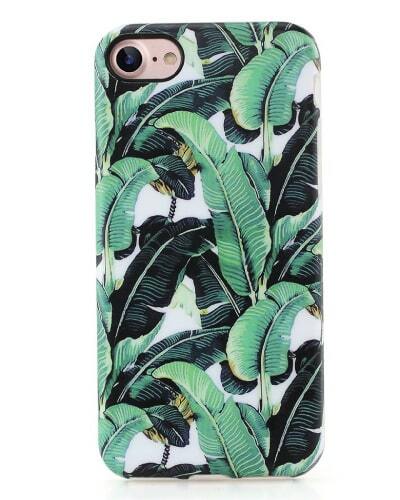 Let’s imagine going to a tropical rainforest and bring out the green essence to your daily life. 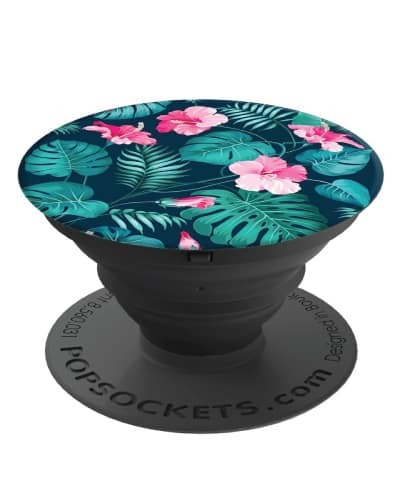 We have brought together 24 tropical inspired home decor and leaf pattern design fashion items that you will love. From wall art, kitchenware, home decor, swimsuit, tech gadget, accessories and more. 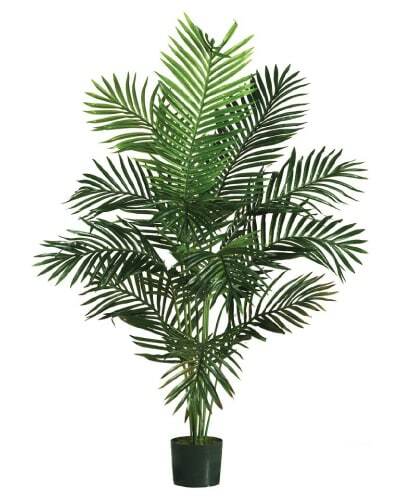 These items add lush greenery and crisp, fresh feel to your life. Let’s enter the tropical forest. 11-ounce ceramic mug to hold your favorite drinks. 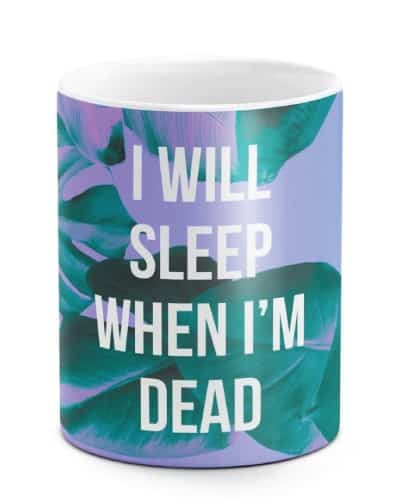 Says “I will sleep when I’m dead”. 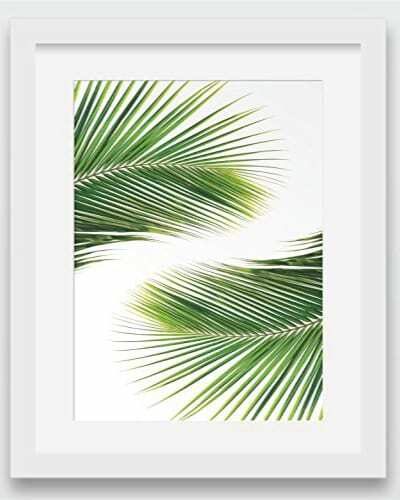 8 x 10 inch tropical leaf print to give a modern update to your home. Change your pillow cover to match the season. 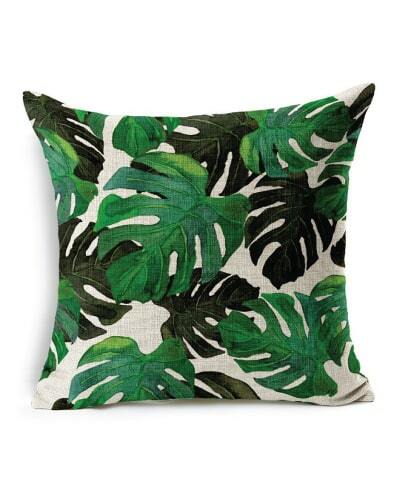 This lovely pillow cover adds sophistication to any room. 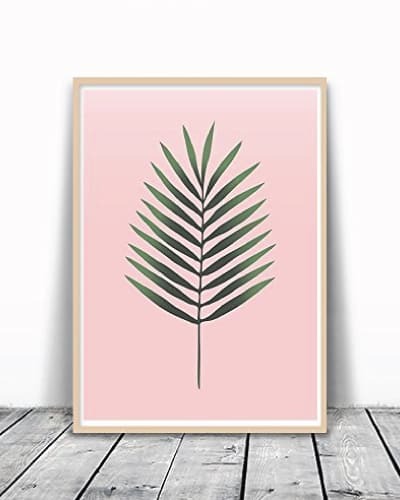 Sweet pink with rainforest leaf pattern. Chic and elegant. Add some fresh, green feel to your home with this lightweight cotton tapestry. Banana leaf pattern. Rich colors, beautiful. Price below $20. Stylish swimwear for the ladies. Pretty leaf pattern, cute style. You will love it for sure! Chic watch for women. 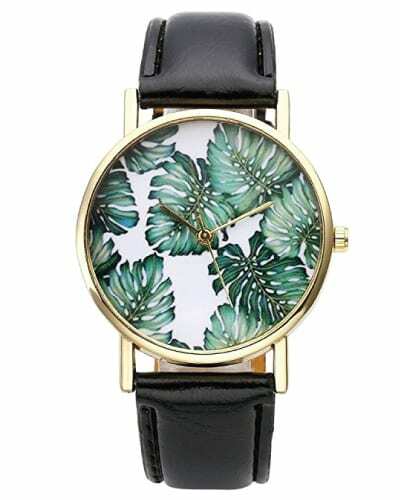 Leaf pattern dial with gold case and black straps. Looks cool for the summer. 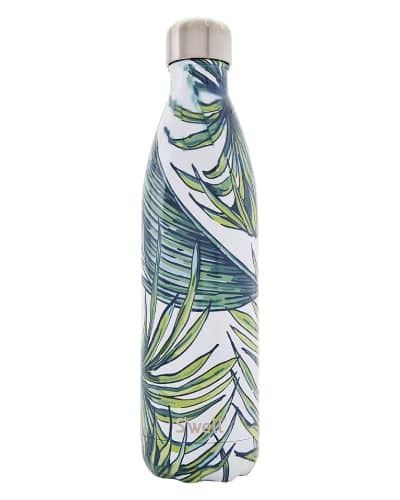 Good quality stainless steel water bottle by S’well. Double walled, insulated to keep drinks cold for hours. Minimalist style wall art for your room. Looks clean and neat. Stunning piece of work by Artisan Putu Oka Mahendra. According to the legend from the East, when Buddha is riding an elephant, it is believed that it will bring good luck and health. This teapot is handcrafted with mesmerizing details. It is made of ceramic with a rattan handle. 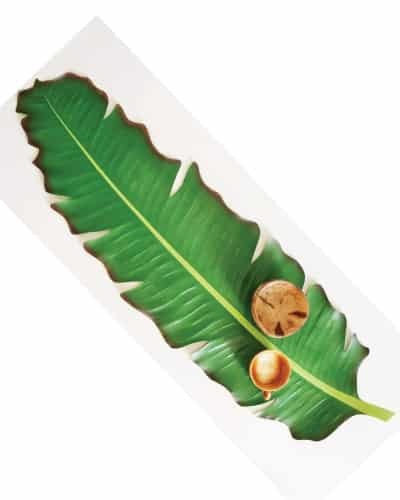 Use this banana leaf to decorate your dining table. It will make you feel like eating in a forest. Unique bowl made of mango wood. 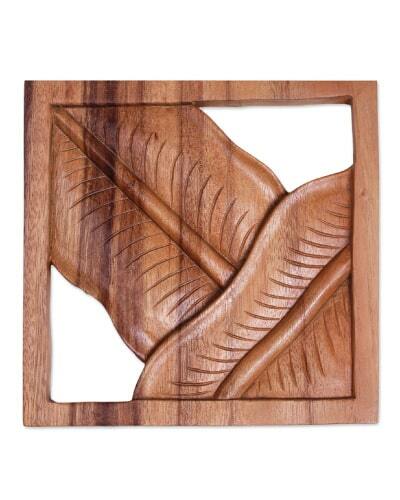 Beautifully hand-carved out of a single piece of sustainable orchard mango wood. 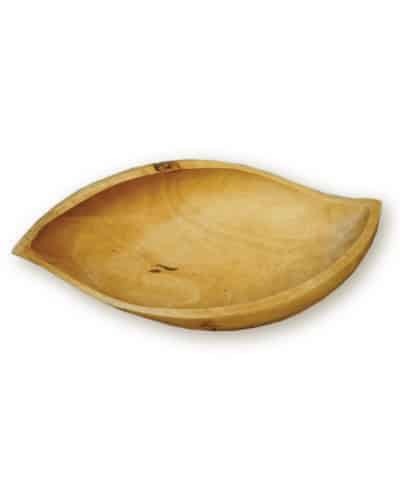 Can be used as a serving tray, salad bowl, or simply as a centerpiece for display. 5 feet high palm tree that thrives in all weather. Compact enough to fit in a small room and bring out the warm tropical breeze. 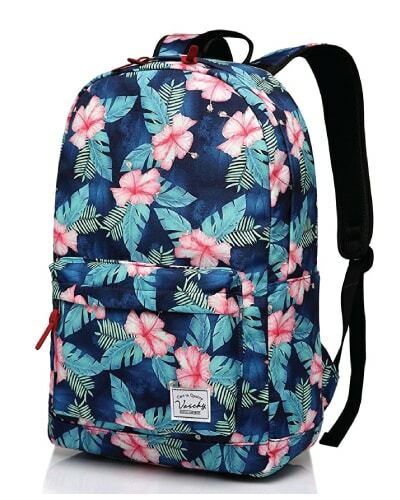 Carry the Hawaiian breeze wherever you go with this gorgeous backpack. 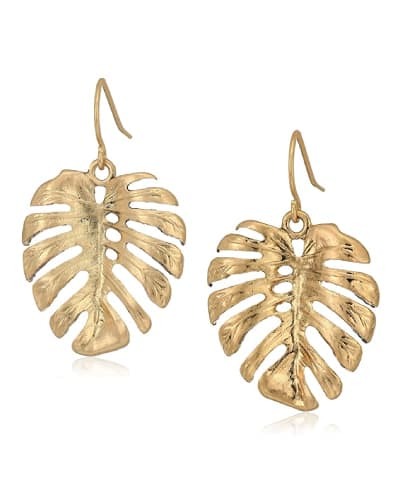 Girls, you will look amazing with these gorgeous gold leaves dangling on your ears. It is shiny and eye-catching. 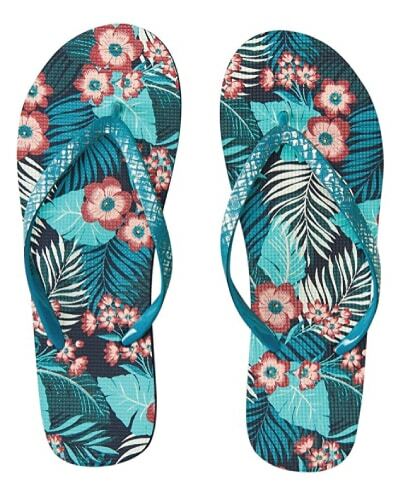 Matches well with any casual/ beach outfits. Don’t forget to bring a fashionable beach towel when you hit the beach with your flamboyant float. 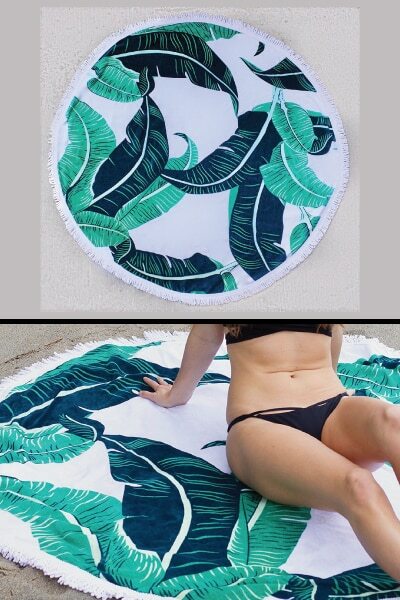 This banana leaf round towel is perfect for this year’s summer. The vibrant color makes it ideal for photo shooting. Palms and flowers under your feet. Can you feel the heat? 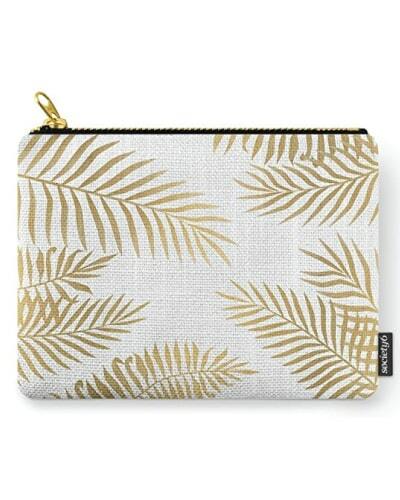 Store your makeup and other treasures in this cotton pouch. It is sleek and versatile. Wrap around style. 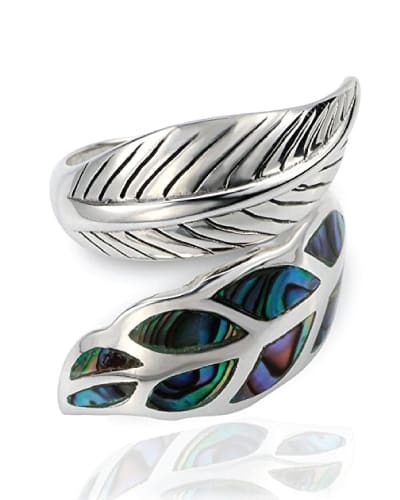 Made of sterling silver and natural abalone. Expand the grip of your phone or use it as a stand for hands-free viewing. Helpful little gadget for frequent smartphone users. Don’t forget to dress up your phone. Banana leaf design looks cute, isn’t it? 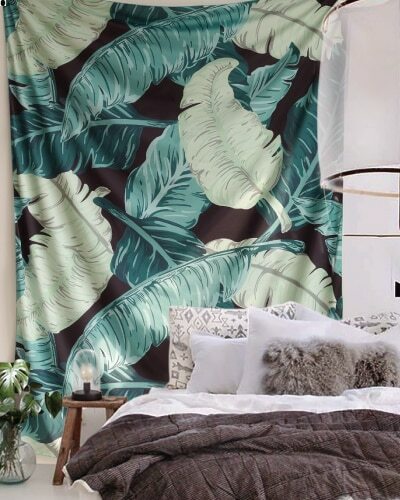 Green and fresh tropical decor for your living. Splendid woodwork by Artist Sarwaedi from Bali. Hand-carved using Suar wood with a striking, natural finish. 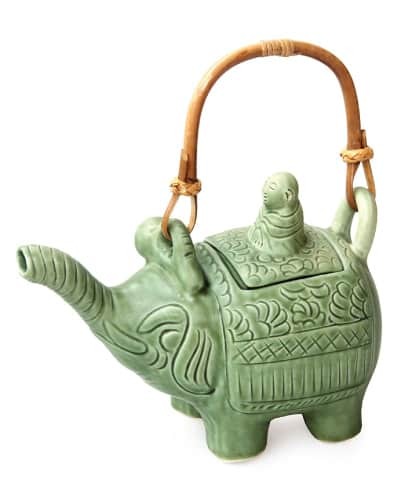 This is an original NOVICA fair trade product in association with National Geographic. 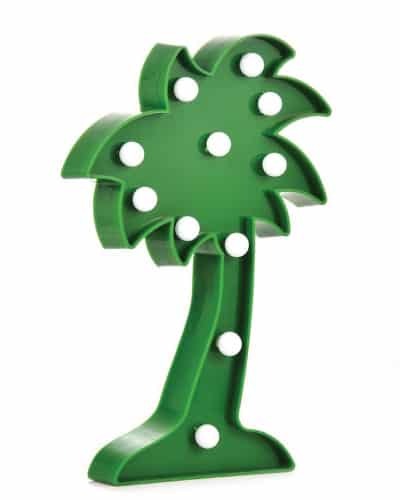 LED light to add whimsy to any space. Looks fun and adorable. 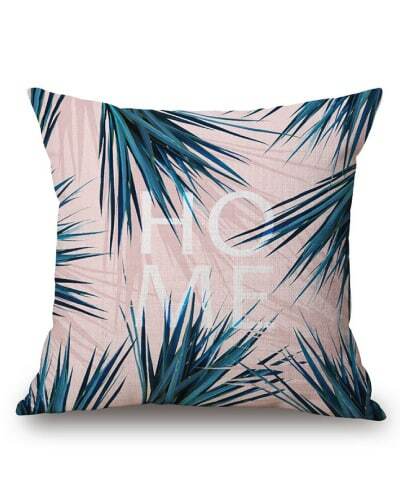 Tropical decor for office, dorm room, and home. 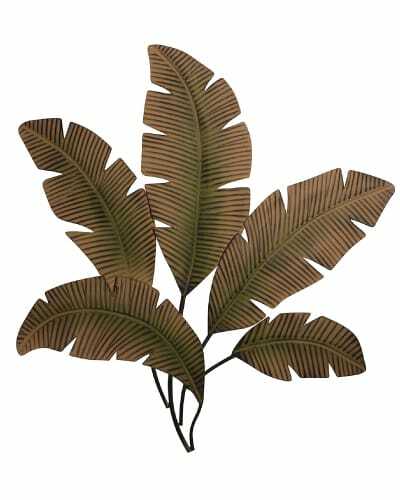 Impressive metal wall art that looks exotic and grand. 35 inches wide x 34 inches high. Hand-painted with matte finish of warm cream, accented with green and deep brown. 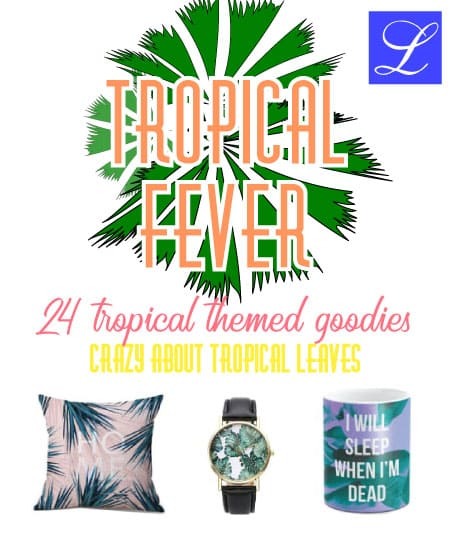 That’s the list of 24 tropical decor and leaf pattern fashion items. Thanks for reading.